Catalina Maria Johnson » Mariachi Women: Passion, Fire and Pure Emotion! Mariachi Women: Passion, Fire and Pure Emotion! 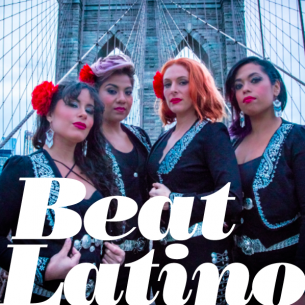 http://beatlatino.s3.amazonaws.com/Women%20and%20Mariachi_Beat%20Latino%20with%20Catalina%20Maria%20Johnson.mp3 Download this Episode of Beat Latino (MP3) We were so inspired by the Latin Grammy won by Mariachi Flor de Toloache, we put together a whole show to honor women in mariachi! It’s the first time an all-female mariachi has won in this category, and Beat Latino has put together a wonderful selection of forebears and contemporaries. ¡Viva la mujer! ¡Viva el mariachi! Long live the passion of mariachi music! Featured Photo: Mariachi Flor de Toloache. Courtesy of Criteria Entertainment and the Artist.